The stimulus package announced by President Cyril Ramaphosa on Friday includes initiatives around growth-enhancing economic reforms, the reprioritisation of public spending to stimulate and support job creation, the establishment of an infrastructure fund, key interventions in education and health, and investment in social infrastructure in municipalities. The SA Chamber of Commerce and Industry (SACCI) said in a statement that it welcomes these announcements as SA faces distinct challenges around unemployment, economic growth, inequality and poverty. SACCI CEO Alan Mukoki said the chamber looks forward to hearing more detail on how many jobs would be created, where the funding would be reprioritised from, and how new legislation will work more effectively than existing policy, which on the face of it is seemingly good but has little impact. "Everything mentioned in the president’s stimulus package has been heard before - in one form or another over the past 5 years. They, in fact, all form part of government’s existing medium-term strategic framework," commented Mukoki. "The minister of finance and his team has been reprioritising the budget in line with key priorities since 2011. Education and health already receive a substantial portion of the budget as key social sectors – with most of the funding provided to provincial government as part of the equitable share and conditional grants." SACCI, therefore, awaits more in-depth detail on these initiatives within the stimulus package, along with clarifying information on the energy sector – which ultimately drives many businesses’ abilities to expand. "The president mentioned a review of visas for business and tourism. SACCI, however, looks forward to hearing additional information about SA’s relationship with the rest of Africa and expanding our economy into the region, leveraging the water, electricity, skills, technology and growth that is available across our borders," said Mukoki. "It is hoped that discussions and outcomes of the Investment and Jobs Summit in October will establish a firmer understanding of what is envisaged and possible in the next three years; along with the medium-term budget policy statement providing a guideline on what the budget may look like once public spending has been reprioritised." For SACCI it continues to come down to all social partners to work towards rooting out corruption and the misuse of money, along with a possibly redrafted way of doing things, and building capacity and capabilities to really see the difference. "Social partners need to work towards common long-term goals – not idealistic or separatist, short-term ones. All of us need to translate policy, plans and ideas into actual outcomes that can be measured and monitored. Otherwise we continue to talk about the problems without solving them," said Mukoki. "What is clear, though, is that the government appears committed to making a difference and working with partners. SACCI and its members stand ready to take up the challenge." 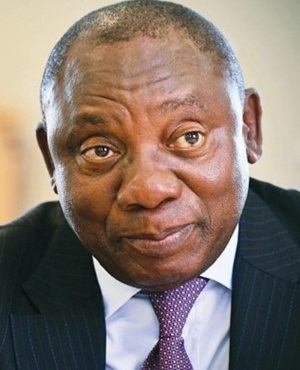 President Cyril Ramaphosa’s stimulus package is a step in the right direction and signals that the government is listening to the concerns raised by business, commented Business Unity South Africa (BUSA). It said it is cautiously optimistic that the president’s plan will get the country into first gear, but business also notes that much more needs to be done to get the economy on a growth course. "Business has a long-term investment horizon, and President Ramaphosa recognises this reality in his statement. Business welcomes the shift in approach from the government," BUSA said in a statement. "Business has said all along that infrastructure is the backbone of any developing economy – we have seen how prioritising infrastructure projects has improved the economic fortunes of SA’s continental and emerging-market peers. Infrastructure development bears the prospect of a multi-sector positive effect because it straddles many industries, including our struggling steel sector." The Institute of Race Relations, feels the stimulus package does not address the deeper reasons for SA’s economic malaise and will fail in positioning the country as a competitive emerging market. IRR CEO Dr Frans Cronje said in a statement in reaction to Ramaphosa's stimulus package that the success or otherwise of any policy framework or stimulus package must be the extent to which it will allow SA to compete in time with rates of growth similar to those of comparable emerging markets - "any lesser standard sells South Africa short". Cronje said the broader policy environment central to the present crisis “remains essentially unchanged”. The Banking Association South Africa (BASA) welcomed Ramaphosa’s announcement of an economic recovery and stimulus package for SA. It regards the president’s commitment to the “immediate implementation” of the package of economic measures, is a cause for hope. "If South Africa is to find its way out of the present economic quagmire, hard trade-offs will have to be made between the interests of government, business and labour, for the national good – including deciding, quickly, on the future of some state-owned enterprises. Our country’s resources need to be directed to productive infrastructure, rather than keeping failing and unnecessary state-owned enterprises from bankruptcy," commented Cas Coovadia, managing director of BASA.